This essay introduces how Alibaba uses the artificial intelligence chatbot, AliMe, to perform customer service. 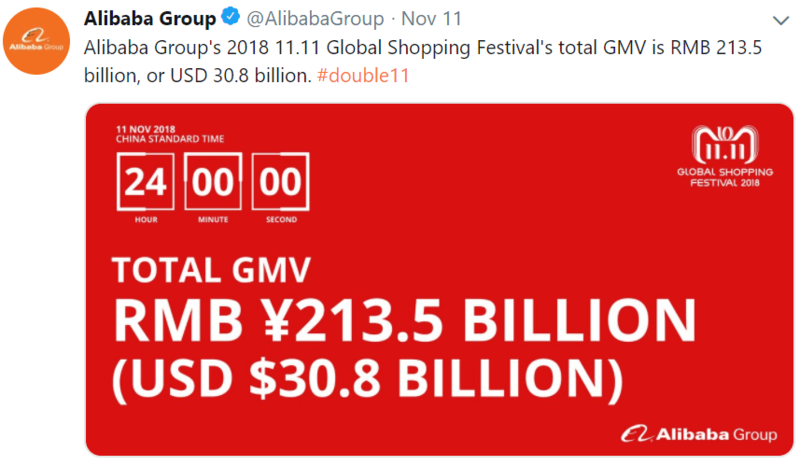 On Nov. 11, 2018, Alibaba scored another blockbuster Singles’ Day shopping festival with RMB213.5 billion ($30.8 billion) gross merchandise volume (i.e. the dollar value of total transactions), 27% higher than last year’s RMB 168.3 billion. This figure is more than twice the size of Black Friday and Cyber Monday combined in 2017. As the world’s largest e-commerce platform, Alibaba has more than 550 million active consumers, millions of active sellers, generating millions of transactions through various Alibaba promotion tools and services each day. The whole Alibaba ecosystem also involves thousands of e-commerce operation vendors, almost all 3rd party logistics vendors via Cainiao Logistics Network, 1 million offline mom-and-pop shops via Alibaba retail service, and 870 million consumer finance users via Alipay under Ant Financial. Alibaba traditional relies on its intimate customer service to enable shopping transactions and related post-sales services. The complexity and surge of Alibaba Group’s business results in an increasing challenge to the customer service team. For example, from the 1st Single’s Day shopping festival in 2009 to 2017, total transaction volume grew from 50 million to 168.2 billion, and the number of sellers grew from 27 to 180,000. 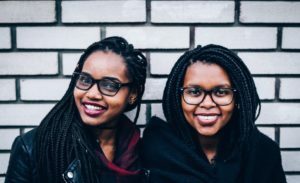 Given the skyrocketing customer service demand, simply adding customer service staff is obviously not a long-term solution. As Alibaba has already built up one of the world’s most complex customer service systems, intelligent customer service is the only sustainable solution in the future. Alibaba launched AliMe, the artificial intelligence chatbot, on July 24, 2015. AliMe is an intelligent human-computer interaction (IHCI) based shopping guide and assistant for both sellers and customers. This product is powered by a range of AI technologies such as speech recognition, semantic understanding, personalized recommendations, and deep learning. Based on the numerous customer transaction data, AliMe can proactively analyze and predict customer service needs and reach out to customers. Based on accumulated data each year, AliMe can have the knowledge base automatically updated in minutes for the first time in the industry and predict the problems each user may encounter in real time. Therefore, AliMe can send users precise service information even before users have even asked for help. During the Single’s Day shopping festival in 2017, AliMe responded 9 million queries, i.e. 95% of the customer services on Alibaba e-commerce platforms. Alibaba intelligent recommendation system also created 56.7 billion different personal recommendation shopping lists for customers. In 2018, AliMe expanded to empower the whole integrated customer service team of 3,000 Alibaba own staff and about 1 million 3rd-party sellers’ staff. AliMe was fully upgraded to provide 4 key services in pre-sales promotion (product recommendation, proactive promotion, intelligent shopping reminder to complete transactions), during-sales and post-sales automatic services (generating invoices, changing address, reminding delivery, appointing logistic vendors), shopping transaction data dashboard for sellers, and intelligent shopping assistant. For instance, AliMe chatbot can understand a customer’s emotion and then prioritize and alert human customer service agents to intervene. It can also remind sellers to increase inventory to keep up with the demand. 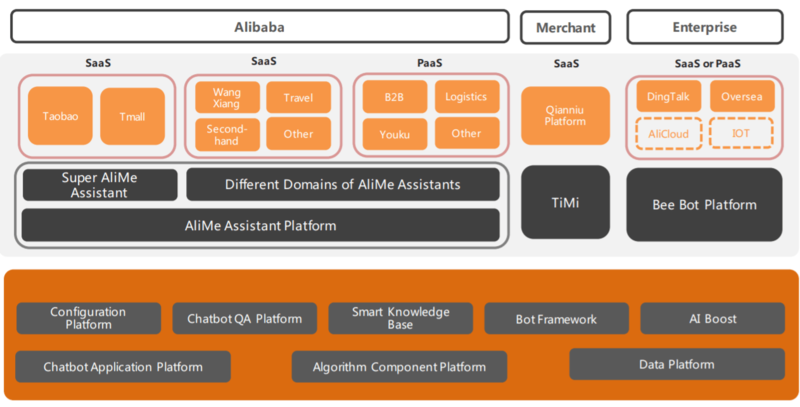 In the short term, Alibaba expects to create the AliMe bot platform as a complete set of intelligent human-computer interaction solution as follows. Alibaba’s ambition is more than AI application tools. Alibaba established Damo Academy to foster fundamental academic research in AI technology. Alibaba invested in seven research labs that will focus on artificial intelligence, machine learning, network security, natural language processing and more. In 2018, Alibaba announced to invest more than $15 billion over the next three years in a global research and development program. Alibaba is able to expand the intelligent customer service robot outside of its e-commerce platform. Since Alibaba also invested in the leading social media (Weibo), the leading video streaming website (Youku), the leading payment tool (Alipay), and millions of offline retailers, Alibaba is able to connect all the touch points along the whole customer journey. As the internet giant with data across all aspects of individuals, to what extent can Alibaba utilize its knowledge of individual data for commercial purposes in reality? Given increasing debate and government regulations over data privacy, how to balance the eager and ability to make more money versus the corporate responsibility in respect to human privacy? Twitter.com. (2018). Alibaba Group (@AlibabaGroup) on Twitter. [online] Available at: https://twitter.com/alibabagroup [Accessed 12 Nov. 2018]. Liao, R. (2018). Alibaba sets new Singles’ Day record with $31B in sales, but growth is slowing. [online] TechCrunch. Available at: https://techcrunch.com/2018/11/11/alibaba-singles-day-2018-31b/ [Accessed 12 Nov. 2018]. Marr, B. (2018). The Amazing Ways Chinese Tech Giant Alibaba Uses Artificial Intelligence And Machine Learning. [online] Forbes. Available at: https://www.forbes.com/sites/bernardmarr/2018/07/23/the-amazing-ways-chinese-tech-giant-alibaba-uses-artificial-intelligence-and-machine-learning/#67ec640f117a [Accessed 12 Nov. 2018]. Alibabacloud.com. (2018). Alibaba Xiaomi: Applying Speech Recognition, Semantic Analysis and Deep Learning on Taobao Mobile – Alibaba Cloud Developer Forums: Cloud Discussion Forums. [online] Available at: https://www.alibabacloud.com/forum/read-181 [Accessed 12 Nov. 2018]. Chen, C. and Dai, S. (2018). Alibaba lets AI, robots and drones do heavy lifting on Singles’ Day. [online] South China Morning Post. Available at: https://www.scmp.com/tech/innovation/article/2119359/alibaba-lets-ai-robots-and-drones-do-heavy-lifting-singles-day [Accessed 12 Nov. 2018]. Alibaba Tech. (2018). Chatbot Engine behind Alibaba’s AliMe Customer Service Bot. [online] Available at: https://medium.com/@alitech_2017/better-e-commerce-customer-service-from-alime-to-you-656e34934f66 [Accessed 12 Nov. 2018]. I think Alibaba has executed extremely well in leveraging their immense repository of customer data to build in-house ML systems which add value to key business problems (e.g. customer service, recommendation engine). As you have outlined, the productivity and revenue gains for the company have been tremendous, along with added benefits to Alibaba’s merchants and customers. Since AliMe was launched in 2015, I would have loved to learn more about what Alibaba has done to incorporate employee feedback and improve on their ML systems. To address your first open question, I think Alibaba can also apply its ML solutions to help develop their own private label brands and services since they have an intimate understanding of customer behavior and preferences. A very thought-provoking article! It is amazing to see AI and automation begin to replace people in softer skilled roles like customer service. One thing I commonly worry about when reading research like this is the future of work. How will machine automation effect our ability to find meaningful employment? Furthermore, if topics like customer service are being outsourced, will we soon lose all ability to speak with real people at a company? What are the risks of this? I believe that the current technology requires human supervision, but this may not be the case in the medium term. Alibaba may have to deal with these questions sooner than expected. Thanks! In light of Keith’s comments, I do agree that there is a concern over privacy in this space, and I would also add the importance of security. With so much customer information being stored in one place, I’d like to know more about Alibaba’s internal infrastructure to keep it safe. I think Alibaba has the opportunity to set a precedence–perhaps not in company management like we discussed today in class– but in AI ethical practices about how it approaches these problems in the future. With growing usage of social media, development of ML and AI, there is growing concern about privacy. However, this conversation will go nowhere unless we all align on the new interpretation of privacy again. When we store all sorts information onto cloud space, broadcast our daily lives through snapchat, instagram, facebook, and twitters, we are already re-writing the definition of privacy. With increase amount of identity thief, corporation become the first victim to blame for data leakage. We as a society made choice together to push a world with sharing data. People who choose not to join this movement have been left out or end up join anyway in order to survive the rapid changing data driving society. I don’t think corporation has any incentive to change it. We are the driving force to change not corporation. Alibaba is unique, not only because of its scale but because of its sovereignty. China, in the eyes of many nations, already poses severe security threats. I wonder if its investment into AI and collection of consumer data will naturally prevent other countries from welcoming it into their markets. Data of this sort can be easily manipulated, hacked and abused without the right type of infrastructure. Even if Alibaba invests in heightening the level of security its systems operate under, I wonder if it can convince other nations of the reliability of its technology to allow foreign governments to feel at ease. Great article! As a consumer, I really appreciate when a ChatBot is able to not only answer the questions I have, but also anticipate and provide additional relevant information with little prompting. I am curious if/how Alibaba works with advertisers. For example, if a shopper asks AliMe for a recommendation, what powers the answer? Is it based on past purchasing behavior, or can brands pay to have their products show up in the responses, similar to SEO/SEM? Great work Amanda! As a frequent user of Taobao and Tmall, I agree Alibaba’s intelligent customer service indeed provides smooth customer experience and was able to support Alibaba’s hudge volume of traffic during the Singles Day. I think you raised very critical questions about data privacy and the extent tech firms could use customers’ data for profit. In fact, global tech companies such as Google, Facebook, Uber all face such challenges. 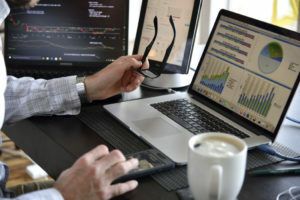 In Europe, there are new regulations rolling out to draw lines between what kind of data need to be approved by consumers before being used by corporations. I imagine the issues will be a continuous debate and will provoke tech innovation such as blockchain.